:: As part of a ceremony to dedicate the new 300 megawatt Blackspring Ridge Wind Project in Vulcan County, Alberta, on July 15th, corporations EDF EN Canada Inc. and Enbridge Inc. presented cheques totaling $20,000 to the eight inaugural recipients of the Blackspring Ridge Community Project Fund program: the Alberta Birds of Prey Foundation, Carmangay District Historical Society, Champion Fire Department, Public School Betterment Society of Picture Butte, Rainbow Literacy Society, Village of Carmangay Library Board Society, Village of Milo, and the Vulcan Regional Food Bank Society. That works out to $2,500 each. According to the press release in The Wall Street Journal, the Blackspring Ridge Wind Project is the largest investment in wind energy in Western Canada. :: A Danish birder in the Canadian Rockies received superficial injuries after a bear encounter. :: Dr. Dan Stowell and his team have developed an automated analysis technique and classification algorithm for birdsong, testing it by using recordings from the British Library Sound Archive and other online audio collections. More here in a PeerJ blog post interview with Dr. Stowell. :: A team of biologists is collecting Greater Sage Grouse feathers from more than 7,000 leks across 11 western states in the US and two Canadian provinces to gather genetic information about movement patterns and population structure that can be used to help manage the species. :: Scientists have examined DNA from a Spotted Green Pigeon, also known as a Liverpool Pigeon, presumed extinct for nearly a century, and found that the species was related to the Dodo; the specimen studied, from a Liverpool museum collection, is thought to have been gathered in Tahiti in 1783.
:: Smithsonian Science uses a new exhibit at the Smithsonian’s National Museum of Natural History, “Once There Were Billions: Vanished Birds of North America,” to highlight the plight of the continent’s birds, and a vast urban landscape that is becoming increasingly “bird-unfriendly“. 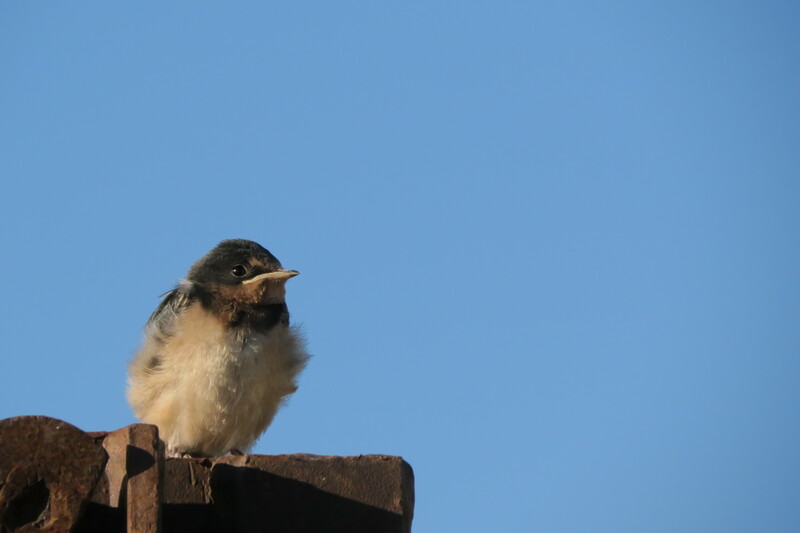 :: From Donald and Lillian at Stoke’s Birding: Fledgling Birds! What you Should Know. :: More news and studies about neonicotinoid pesticides — not surprisingly, researchers have found that in areas where water contained high concentrations of imidacloprid, insectivorous bird populations tended to decline, by an annual average of 3.5 percent. 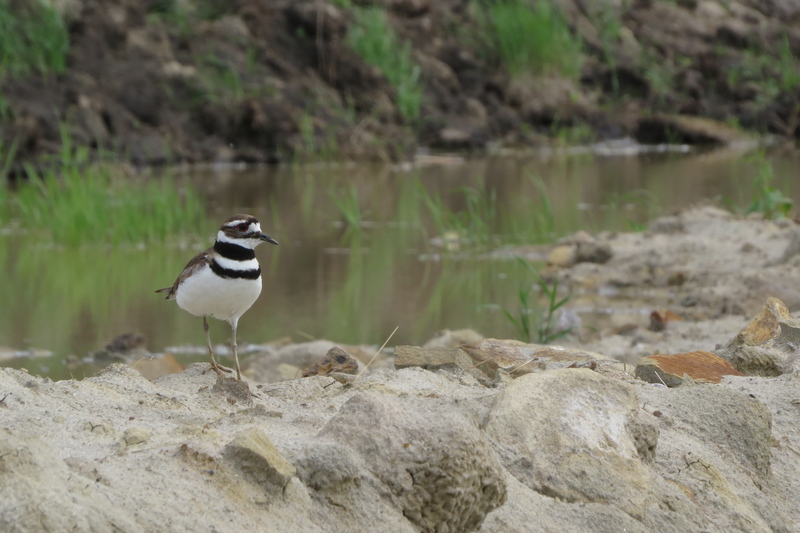 :: The flooding in southern Manitoba this summer has been exacerbated by the loss of many ponds and wetlands in the province as farmers have used drainage to increase arable land; and the organization Ducks Unlimited agrees. :: A new species, Pelagornis sandersi, which lived around 25 million years ago, may be the largest flying bird ever to live, with a wingspan of 20 to 24 feet, twice as long as the biggest birds alive today. Almost as interesting, the fossilized remains, found in South Carolina in 1983, were stored in a drawer at the Charleston Museum for 30 years. :: Two real estate development trade groups are citing DNA evidence in their bid to have the California Gnatcatcher removed from protection under the federal Endangered Species Act, but one expert on bird genetics says their case is based on questionable science. :: India’s new government may be prioritizing national security over the environment, and the first victim might be the Narcondam Hornbill, as India plans to build a radar station on Narcondam Island, a project rejected by the previous government in 2012, mainly because of concerns about the hornbill. :: According to some newspaper reports, the Greater Sage Grouse might determine whether Democrats or Republicans control the US Senate in the November elections, because Republicans need to gain six seats for majority control of the Senate. Two Republican congressmen running for the Senate, in Montana and Colorado, are co-sponsoring legislation to stop the federal government from listing the bird next year as an endangered species for a decade, as long as states try to protect it. :: When it comes to climate change affecting bird adaptation, precipitation might be a greater factor than rising temperatures. :: A US Air Force helicopter crash this past January in Norfolk, England, which killed four men was caused by bird strikes, including geese flying through the aircraft’s windshield, knocking the pilot and co-pilot unconscious; residents in the area have long been concerned about low-flying helicopters over the marsh, which is a Norfolk Wildlife Trust reserve. 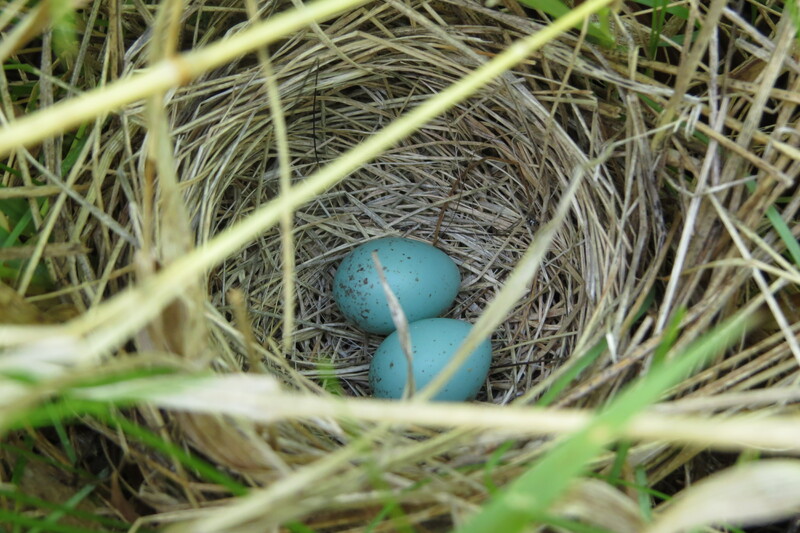 This past week, I was out birding and came across six bird nests all around our farm. 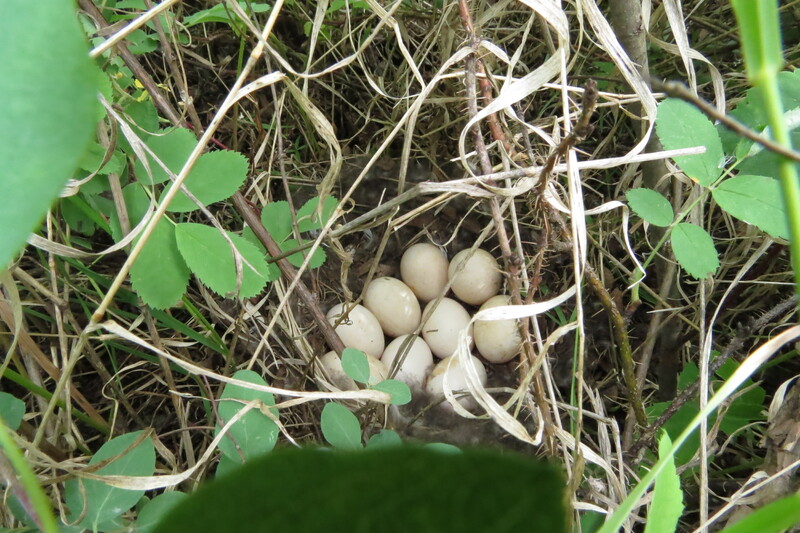 Whenever I come across a nest, it’s likely because the parent sitting on the nest has flushed from my presence; this is a particular problem in Alberta at this time of year, with farmers starting to swath alfalfa in their hay fields and surprising many nesting birds, particularly ducks. 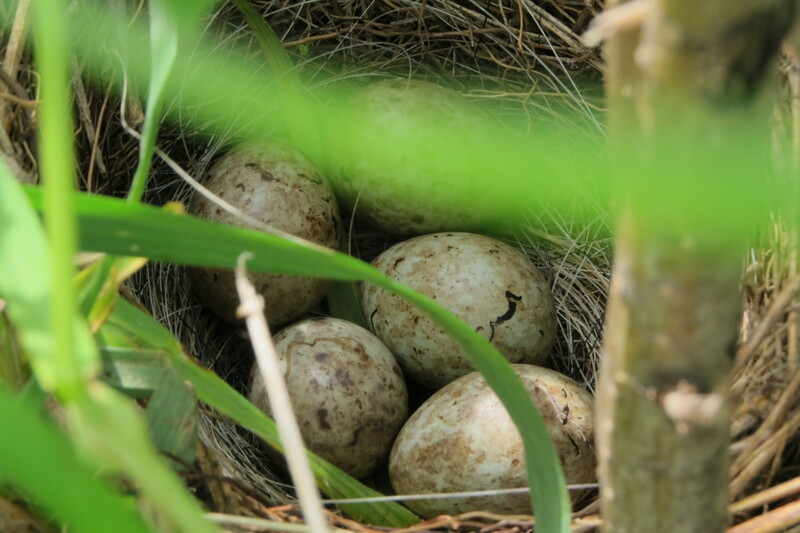 I will take about a minute to look at the contents in nest, but will spend as little time near it as possible, as my presence may attract predators, and make the parents feel so unsafe that they might decide to abandon the nesting site. 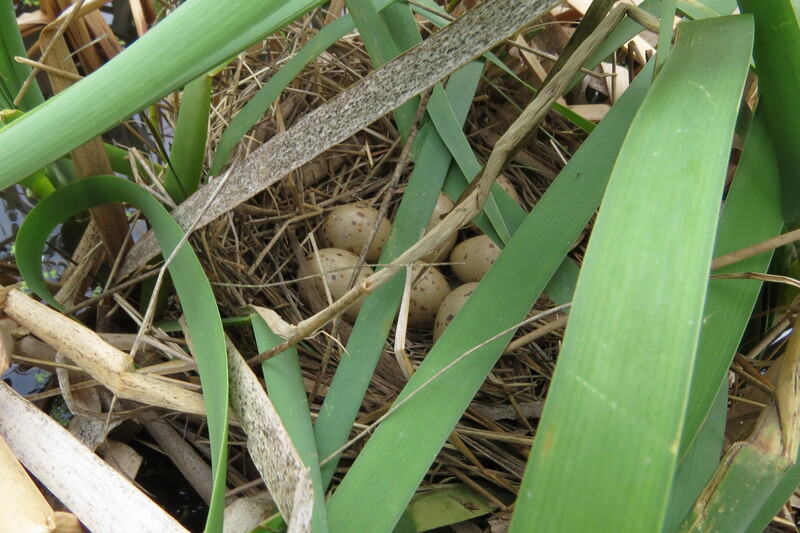 I’ve found quite a few nests from small songbirds to waterfowl. I try to follow the ABA’s Code of Birding Ethics as well as the North American Photography Association (NANPA) Principles of Ethical Field Practices. 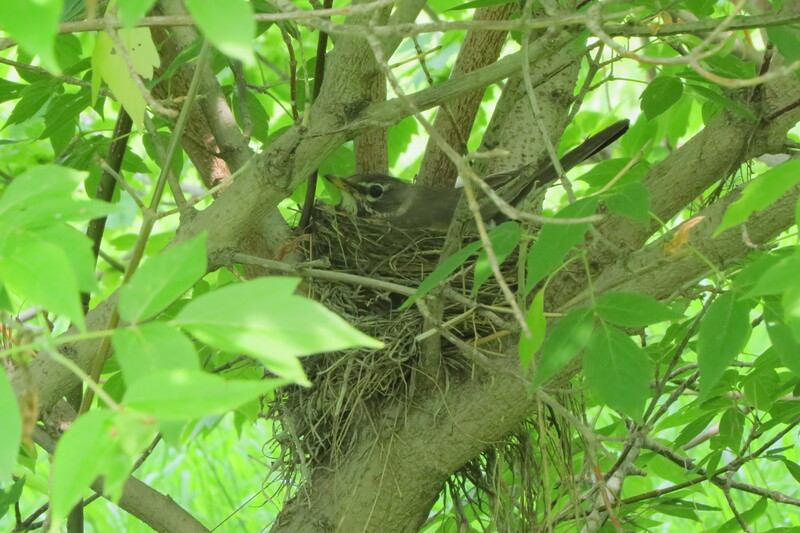 Always remember that your scent may draw predators to the area of nesting birds or birds with chicks. The Greater Sage Grouse is the largest species of grouse in North America, but it is now found only in small areas in southern Alberta and Saskatchewan, and is likely Canada’s most endangered species of bird with only 138 birds living in the wild. The grouse’s population has declined about 98 percent over the past 25 to 45 years. The main cause of decline is from human disturbance of Greater Sage Grouse habitat. Oil, gas, and other development in areas where the grouse breed, winter, nest, and raise their young is a leading factor in their population drop. In 2013, the Canadian government issued an emergency protection order under the federal Species at Risk Act to try to prevent the birds’ extinction. A 10-year captive breeding program, which will cost $5.3 million, was started at the Calgary Zoo this spring. 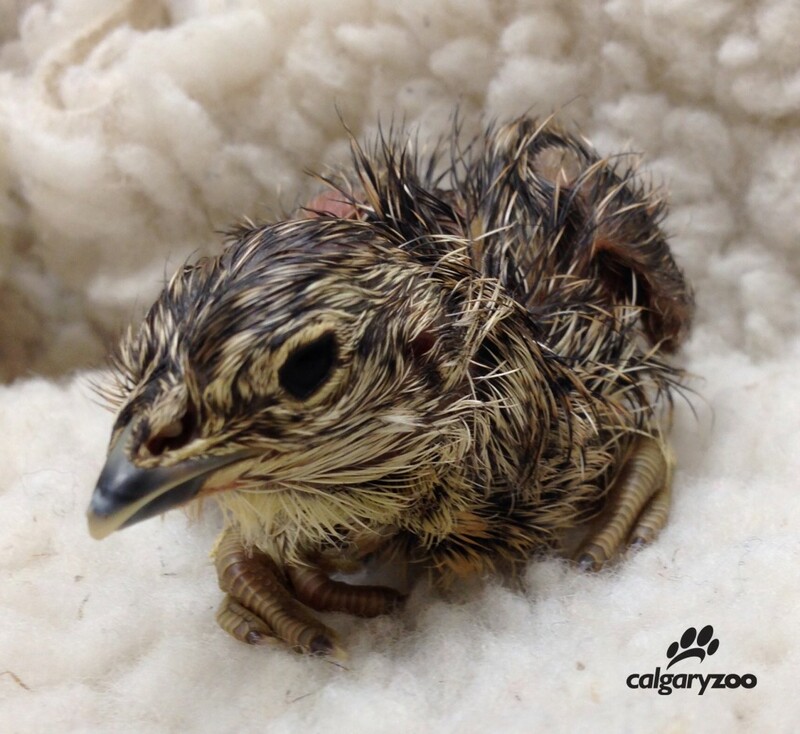 This past May, zoo biologists collected 13 eggs from nests in southeastern Alberta and placed in an incubator at the Calgary Zoo. All of the eggs hatched, but two chicks didn’t survive. 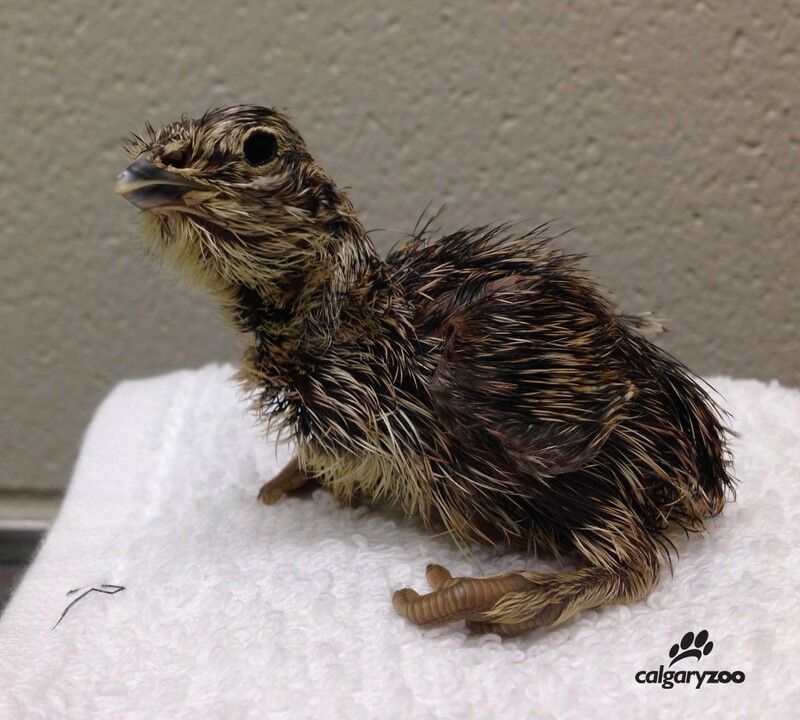 When the chicks reached 10 days old, they were moved to the zoo’s Devonian Wildlife Conservation Centre to be raised. 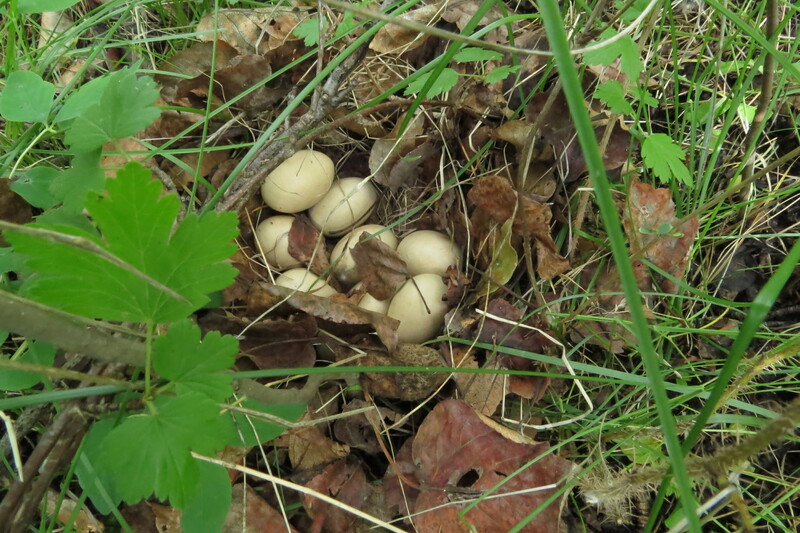 We are extremely pleased to have developed a process with the Alberta Government of safely finding, moving, and hatching sage grouse eggs that have been collected in the wild. We are demonstrating immediate action to respond to the species’ imminent risk of extinction in Canada. This is the first step towards founding a captive population that can serve to recover the species in the future. This project is only one piece of the puzzle in solving the population decline of the Greater Sage Grouse. More has to be done about preserving the ever shrinking native praire in southeast Alberta and southwest Saskatchewan. Oil, gas, and other economic development has taken such a large toll on the small and fragile population. Hopefully this breeding program will succeed for the next nine years and help increase the population of the grouse. If this reintroduction program works, I would love to drive down to the Manyberries area in southern Alberta and observe the male grouse dancing on their leks, It would be such a sight to see.